I couldn’t wait to get started on this one so I got it all ready to go. I added a black border to make the proportions better for a bed size. It is now 82″ x 102″. 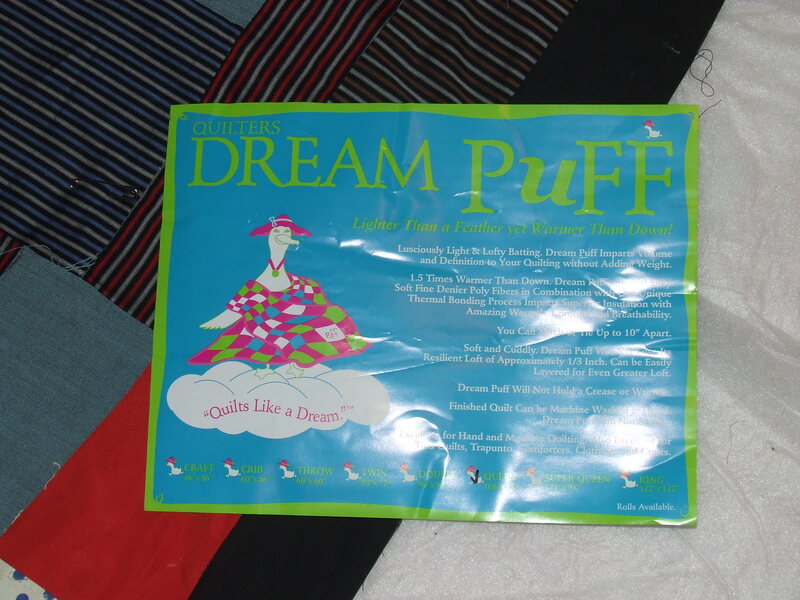 As you can see the wrinkles and puckers are still there…I will quilt some of that out but for the most part I will let it be. I am using a poly batting because I wanted the extra loft to help fill out the puffy spots, and I believe that whoever made this top would have been likely to use a poly batting, It seems right for the era of the quilt. 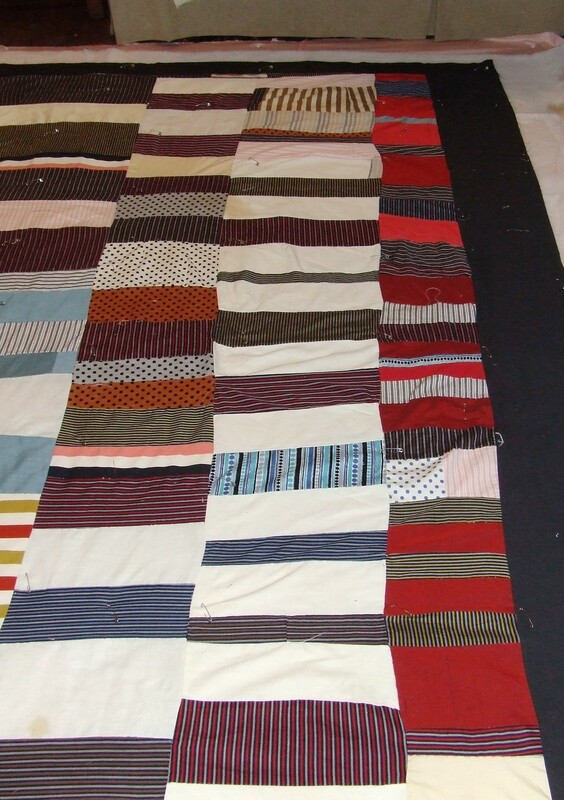 I don’t know how long the hand quilting will take….give me a week and I will either have an answer or have it done. This entry was posted in Quilts and tagged hand quilting, Quilting, Quilts, scrap quilt, vintage quilt top. I really like the black border on your quilt. Good accent. This is a great quilt top and I’m sure you’ll have a lot of fun quilting this one! Excellent choice to use the poly batting. Really love how you rescue these vintage beauties and bring them to life. 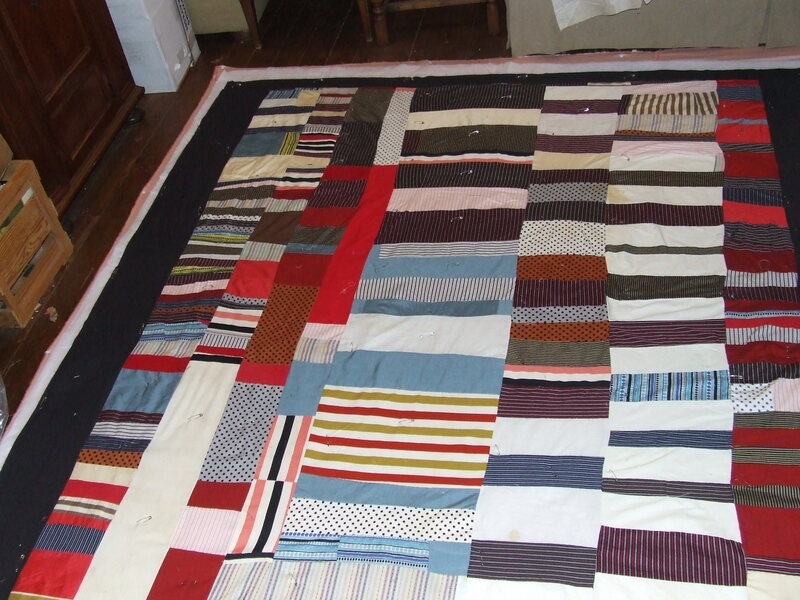 This quilt is reminiscent of the Gee’s Bend quilts which are so spontaneous, and just FUN! that is the feeling I get from it…fun! Thanks for sharing the batting choice, can’t wait to see how it quilts up, I know it won’t be long! I like this quilt top, yes. It is good, there was a good eye on the arrangement. Not only are you amazing you are also very inspirational. I layered a quilt last Tuesday to have my hand the long stitch. And there it sits awaiting my attention! Lol Looking forward to watching your progress though.